Talks between Saab's owner Swedish Automobile and two Chinese investors on a takeover deal to rescue the ailing carmaker will continue even though a memorandum of understanding signed by the parties only runs until Nov. 15, Saab said. "They (the parties) are still in discussions about the structure of the deal going forward and they are continuing their cooperation as if the memorandum of understanding continues," Gunilla Gustavs, a Saab spokeswoman, told Automotive News Europe on Tuesday. The Chinese companies, Pang Da Automobile Trade Co. and Zhejiang Youngman Lotus Automobile Co., signed a memorandum of understanding with Swedish Automobile, three weeks ago. They agreed to buy Saab for 100 million euros ($142 million). 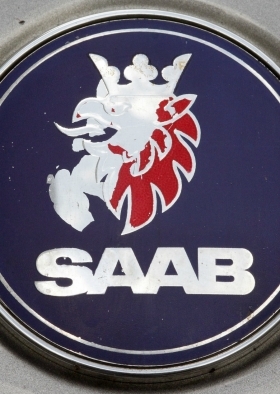 General Motors Co., Saab's former owner, objected to the deal and said it won't continue to license its technology to Saab following the proposed change of ownership. "The discussions are taking place, knowing some of the concerns that GM has, and work still continues in the hope that one can find a workable solution," Gustavs told ANE. Pang Da and Youngman plan to inject more than 500,000 milllion euros ($709 million) in Saab to restart production and return the carmaker to profit by 2014. Saab has been operating under creditor protection while trying to restructure its operations for a second time since being put up for sale by GM in 2009. Production has been suspended since April due to a lack of sufficient funds to pay suppliers and employees. Swedish Automobile must present a proposal to pay creditors on November 22 so Saab can remain under creditor protection while it restructures. ''I think its fair to say that everyone involved in trying to organize for the future is very aware of this date and has that at the top of their minds, when coming up with a solution,'' Gustavs said.